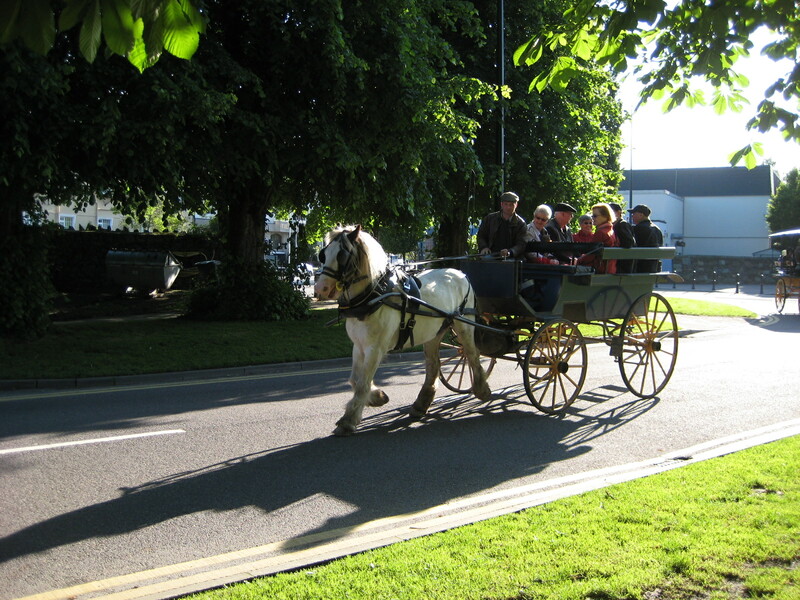 This photo was taken just outside my hotel in Killarney as this group of tourists set out on a jaunting car ride. This is a nice way to enjoy the sights of Killarney and the surrounding areas. If you are planning a vacation in Ireland in the near future then i still have some free dates. You can either contact me by e-mail or call me, whichever suits. Labels: car and own driver vacations. Killarney, Irish chauffeur driven vacations, jaunting cars.